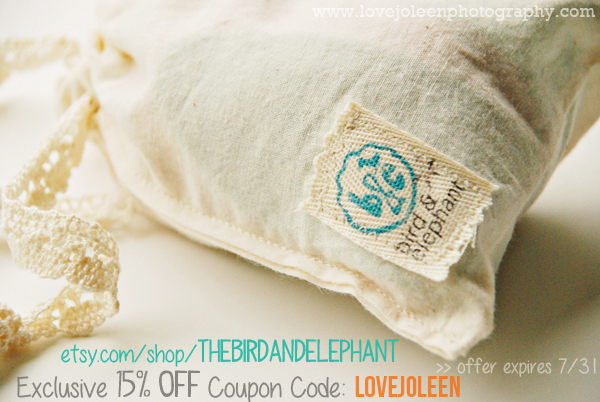 I'm excited about this week's review and giveaway with The Bird & Elephant. Beth Hartman-Peters is the "owner, maker, designer, curator, photographer, packager, and shipper" behind The Bird & Elephant. She was such a pleasure to work with and I'm thrilled to share her baby [and child] products with you! You already know that I love good packaging and I was blown away by the care and attention to detail Beth showed. She sent Benjamin two teethers to review which she packaged in a muslin bag that tied with lace. Her handmade tag (so cute!) was stitched right on the bag. 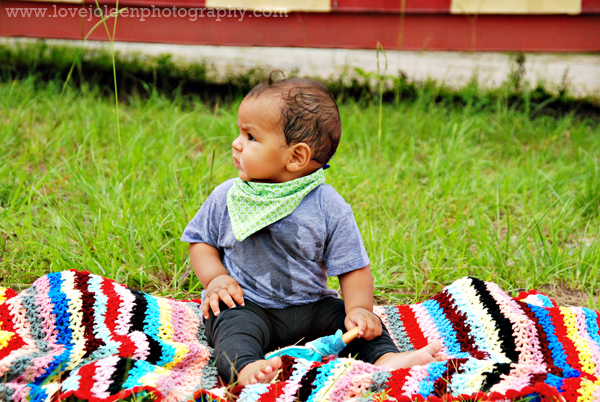 The handkerchief bib was wrapped in tissue with a cute gingham print paper wrapped around it. We have a major teether over here. Benjamin is currently working on his top middle teeth which are numbers 7 and 8 for him. Can you believe how quickly they're coming in? He's handling it like a champ but if you didn't notice it in last week's photos for the House of Mia review/giveaway you'll definitely see in these photos that something is always in his mouth. It's usually his hand or unfortunately my own so these handmade teethers and handkerchief bib could not have come at a better time! maple hardwood, from the supplier: "natural without chemicals or treatments added, only the pure and natural beeswax blend that we use to protect and seal the wood organically to keep it from splintering and preserve the wood. Note: Our beeswax is CERTIFIED organic and comes from United States beekeepers, it is NOT imported!" Care Instructions: Wash the wooden ring in warm water. Do not soak it or place it in the dishwasher. Each ring is made of natural maple hardwood that has been hand-brushed with a mix of organic beeswax and olive oil, that protects the wood from splintering and preserves the wood. The beeswax is CERTIFIED organic and purchased from beekeepers in the US. 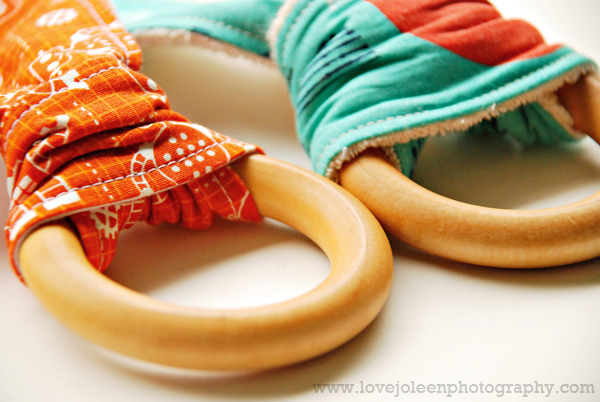 As with all baby toys, these teething rings should be used under adult supervision. Even though these rings are made of natural hard wood, discontinue use at the first signs of wear." We received a teether with fleece backing and one with terry cloth backing. 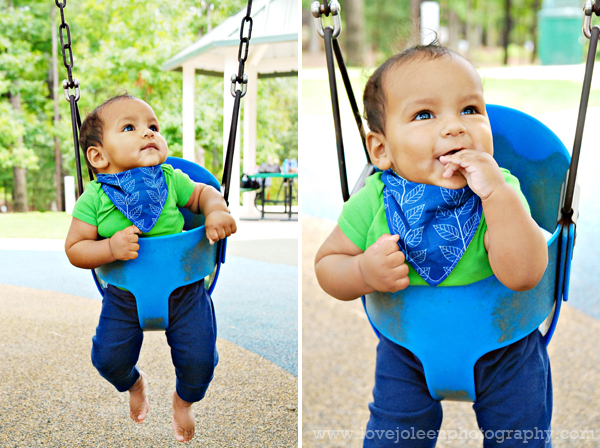 I decided to have Benjamin first test out the bib and one of the teethers on our to Destin, Florida last week. I love that the bibs are double sided with the cutest prints to match whatever he's wearing. 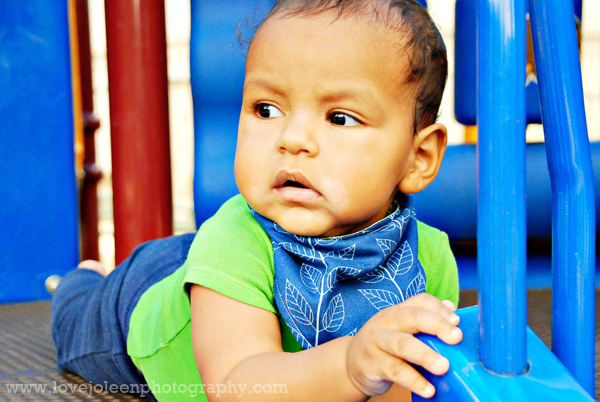 This handkerchief style bib is definitely just as much an accessory as it is functional and I love that! Beth says, that "these bibs are lined with flannel to enhance the absorbency. They wash & dry well in standard machines, use cold water and tumble dry low to preserve colors." 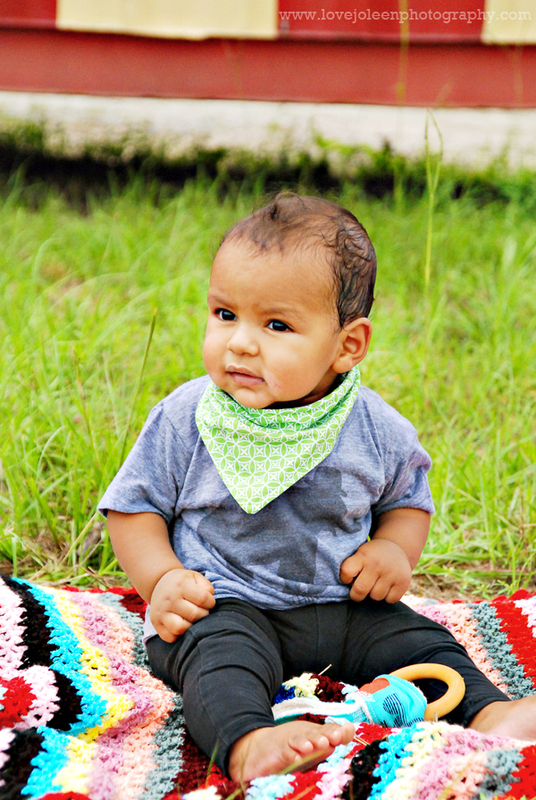 Beth thought that the handkerchief bib might be a little bit big for Benjamin but I don't think she realized what a chunker healthy baby he is. Thankfully, the bib has two sets of snaps in order to fit babies size 3 to 12 months. I was concerned that it might be too small for him but it fit him just right and looked adorable. He didn't tug at it either. 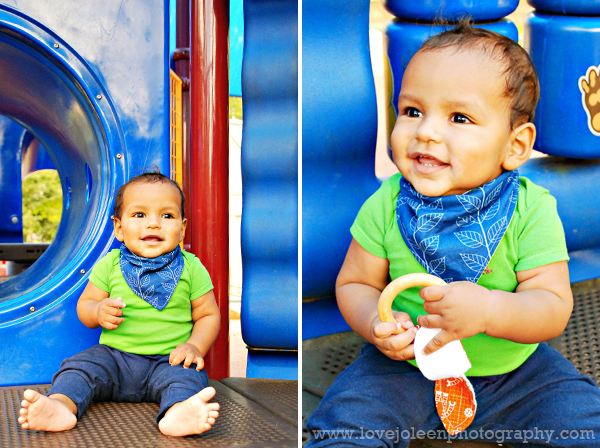 I had him wear his bib on the other side and try out the second teether yesterday at the park. 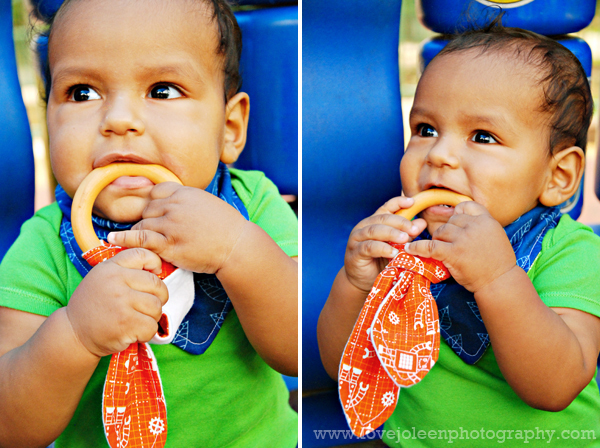 He loves these teethers! He kept pulling the fabric part off which is fine except I thought he might lose the wooden ring easier so I ended up tying it on so that I could knot it. I've also tried running the terry cloth through water as suggested and he seemed to like that as well. I think it's pretty safe to say Benjamin is a fan! 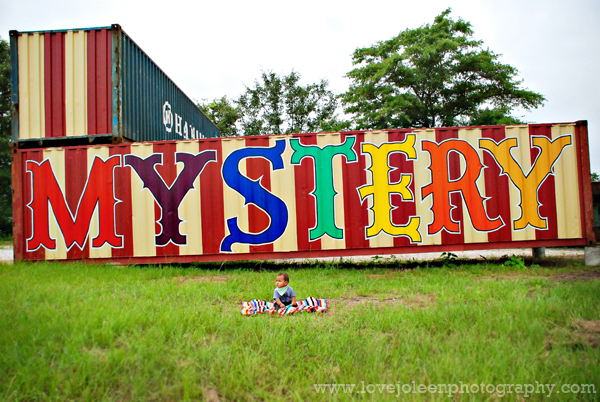 We'd love for your little one to have something cool from The Bird & Elephant, too! 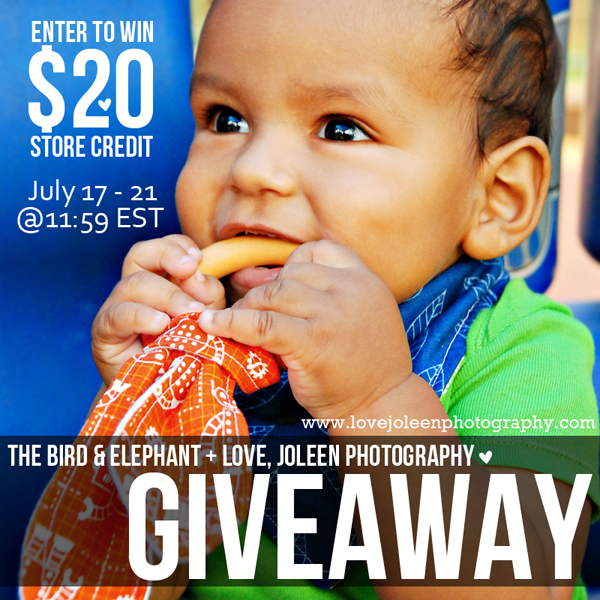 Beth is offering $20 store credit to one lucky Love, Joleen reader. She's also giving away $20 store credit on Instagram so be sure to enter that giveaway too! AND that's not all (teehee)!! Now through July 31st ALL Love, Joleen readers will receive 15% off their orders by entering the coupon code: LOVEJOLEEN at checkout. Thanks, Beth!! 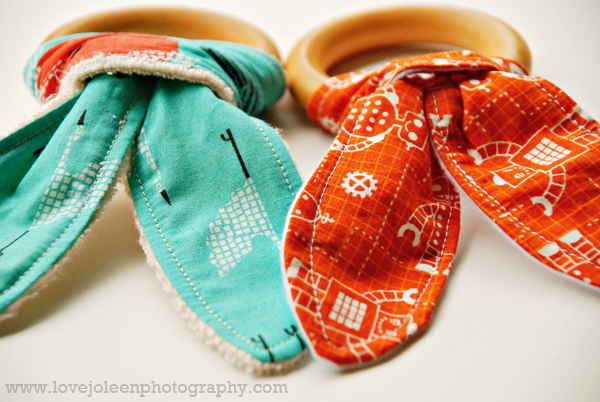 *Non-disclosure: We received these teethers and handkerchief bib complimentary from The Bird & Elephant in order to review.